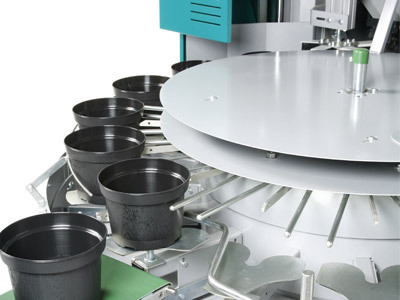 The potting machine Mayer TM 2400E is distinguished just as much by the broad range of pot sizes that can be used as by its peak speeds of up to 4,000 pots per hour. 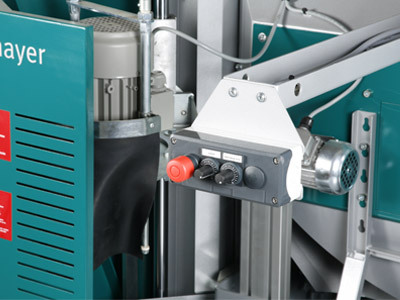 Simply by changing over this multipurpose machine can double its output in the twinkling of an eye. 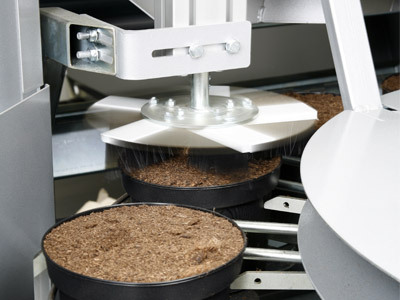 Again with the new potting machine Mayer TM 2400E innovative technology is coupled with ergonomic handling. 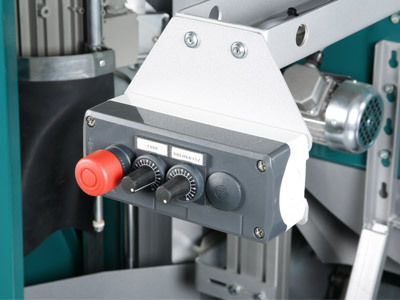 The electronic frequency controls for the turntable and elevator ensure precise output control and are easy to operate via the control panel within the working area. Greater efficiency is also ensured by the new construction of the soil hopper, which prevents tunnel formation when conveying substrate and makes manual intervention unnecessary. 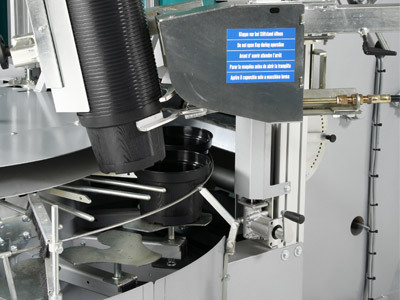 A very flexible, multipurpose machine. 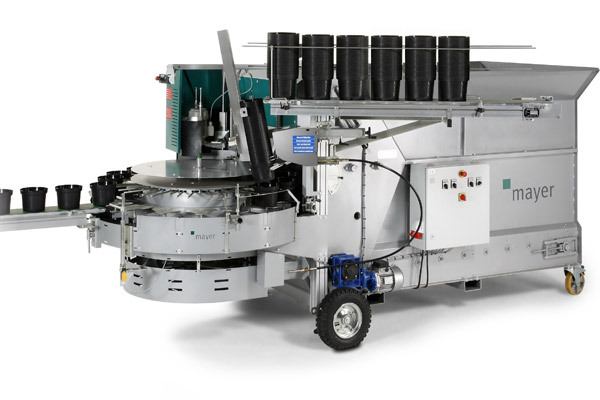 Why choose the Mayer TM 2400E?